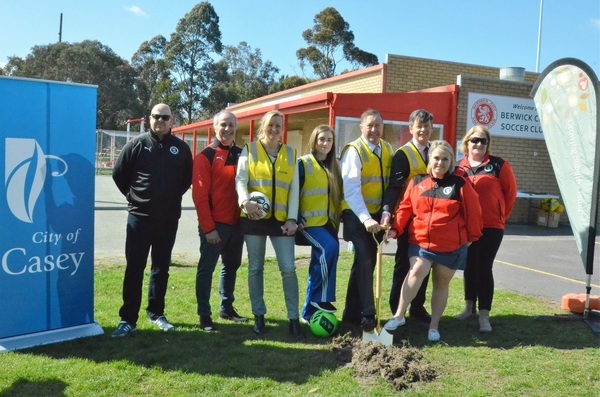 City of Casey Mayor Cr Geoff Ablett, Four Oaks Ward councillors Rosalie Crestani and Milla Gilic, Member for Narre Warren North Luke Donnellan MP and members of the Berwick City Soccer Club celebrate the start of works on the new pavilion at Jack Thomas Reserve. 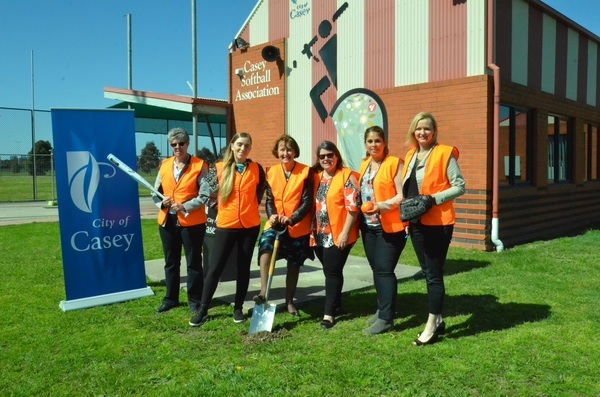 The City of Casey has this week celebrated the start of construction on two projects that will deliver new and improved pavilions at two of Casey’s sports reserves. Council, the state government and members of the associated sporting clubs came together at Jack Thomas Reserve in Narre Warren North on Wednesday, 12 September and Sweeney Reserve in Berwick on Thursday, 13 September to officially kick-off major redevelopments of the sports pavilions at each location. The $2.9m Jack Thomas Reserve project will deliver a much-needed new pavilion for Berwick City Soccer Club including six change rooms, a social room, amenities, kitchen, office, referee and storage spaces and undercover spectator viewing areas. The $2.01m Sweeney Reserve project will demolish the existing softball pavilion and build a new and improved facility with a community room, four change rooms, associated amenities, public toilets, referee rooms, storage facilities, office, kitchen and first-aid room. 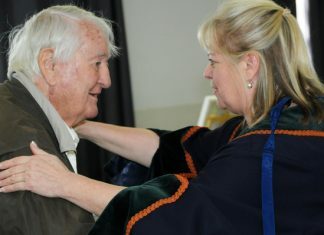 City of Casey Mayor Cr Geoff Ablett said it was great to see these projects get underway. “Both of the existing pavilions at these reserves were out-dated and no longer met the needs of the Berwick City Soccer Club and Casey Softball Association, who have both experienced huge growth in members and participants in recent years,” he said. “These new and improved pavilions will help these clubs better cater to growing demand in their respective sports, support participation particularly for women and girls, help the clubs continue to thrive and provide a more welcoming environment for their members. Both projects are jointly funded by the council and the state government. The state government contributed $1.73m under the Growing Suburbs Fund and $100,000 from the Female Friendly Facilities Fund towards the Jack Thomas Reserve project, with the council funding the remaining $1.075m. The Sweeney Reserve project also received $1.21m through the Growing Suburbs Fund and $100,000 from the Female Friendly Facilities Fund, with the council contributing $703,000. “Council thanks the state government for their contribution towards these projects, ensuring council can get on with delivering them for the community,” Cr Ablett added.